The Samsung SNP-5200H is a low profile ONVIF compliant, 1.3 Megapixel outdoor PTZ camera that incorporates DSP chipset. It is capable of displaying multiple resolutions from CIF (320 x 240) through 16:9 format 720p HD. It provides up to 10 video streams and video analytics that can be powered via PoE or 12 VDC. A minimum illumination of 0.7Lux (Colour) and 0.08Lux (B/W) makes the camera suitable for nighttime surveillance. It features Samsung Super Dynamic Range that balances the overall brightness by illuminating the darker areas to the same ratio as the bright areas. The high-resolution camera with Day/Night ICR function switches between color and B&W as per changes in ambient lighting, ensuring accurate color reproduction in daylight and enhanced B&W images at night. With 2D/3D filtering noise reduction technology (SSNRIII), the camera offers color images in dimly-lit areas with reduced noise in the picture, thereby saving storage space. Automatic gain control adjusts the signal strength to maintain a constant brightness level, and auto white balance adjusts the red and blue signals by taking a standard white color reference to get the most natural colors. 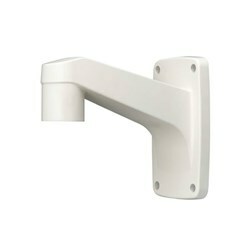 It comes with an IP66 and IK10 rated housing and has a built-in fan & heater. 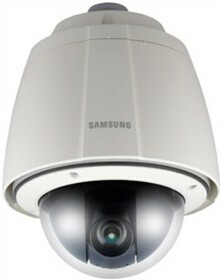 The Samsung SNP-5200H has many exciting features for users of all types. 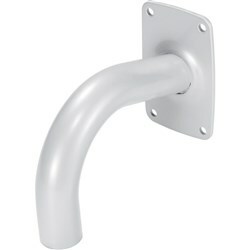 FactoryOutletStore stocks a full line of accessories like Wall Mount Bracket for the Samsung SNP-5200H. The Samsung SNP-5200H is sold as a Brand New Unopened Item.